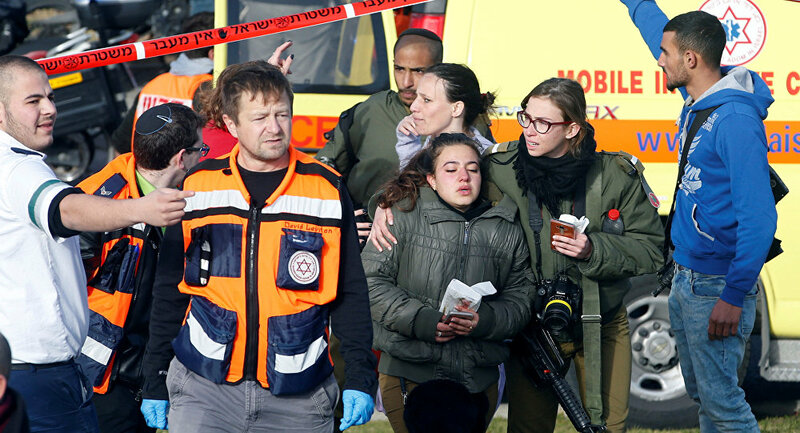 The German government condemns terrorist attack in Jerusalem and supports Israeli authorities in their fight against terrorism, German Chancellor Angela Merkel wrote in a telegram sent Monday to Israeli Prime Minister Benjamin Netanyahu. 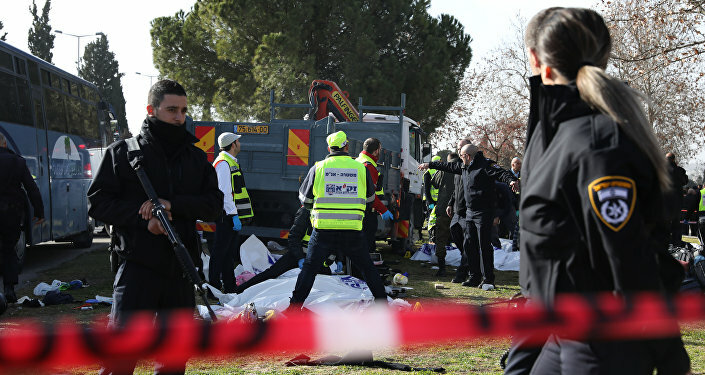 BERLIN (Sputnik) — On Sunday, a truck, coming reportedly from an Arab neighborhood, rammed into a group of soldiers getting off a bus in Jerusalem, killing four soldiers, and injuring 15 others. The truck driver was shot dead. "The federal government condemns this terrorist attack. I can assure you that we are on the side of Israel in fight with terrorism," Merkel said in the telegram as quoted by the German government press service. The police classified the incident as a terror attack after the footage of the incident showed that the driver had accelerated the truck to hit the people and had attempted to run over the group again. Following the attack, Netanyahu said that all signs indicate that the driver was a supporter of Daesh.